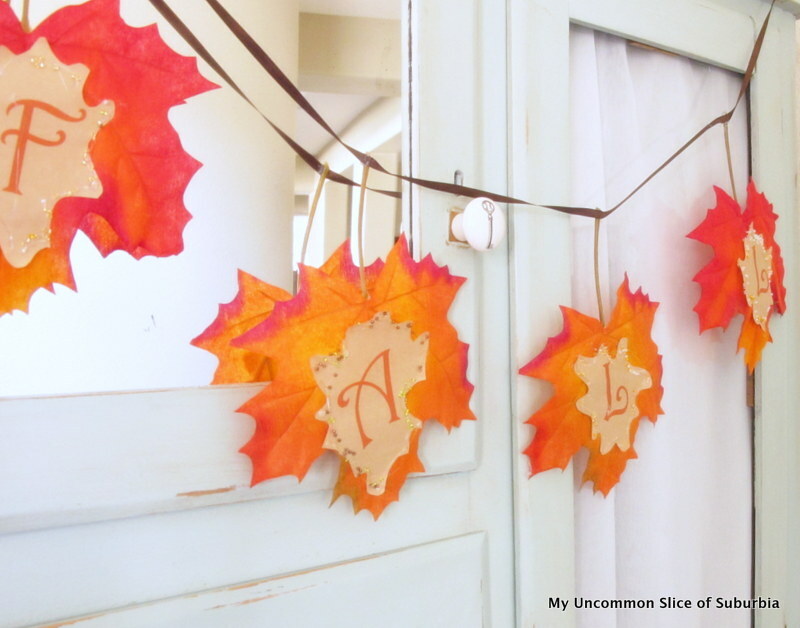 A pretty leaf banner by My Uncommon Slice of Suburbia was created by Kristin. 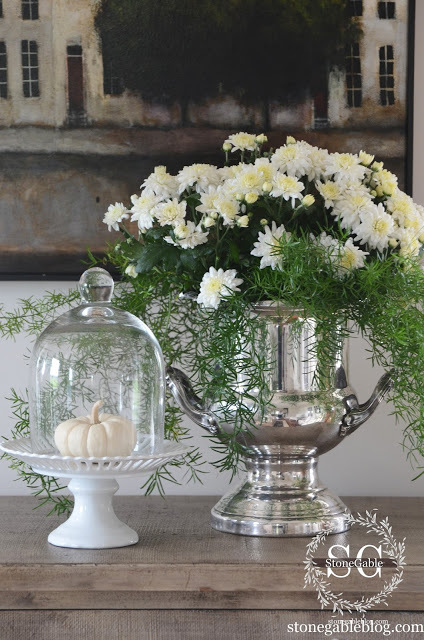 Yvonne at StoneGable blog reveals her flower arranging skills with white Fall mums. 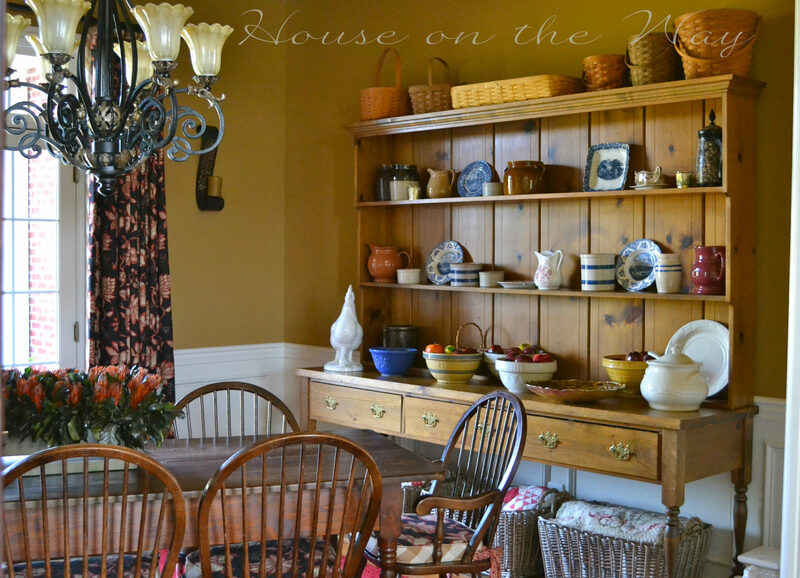 Check out this gorgeous dining space by Leslie at House on the Way. 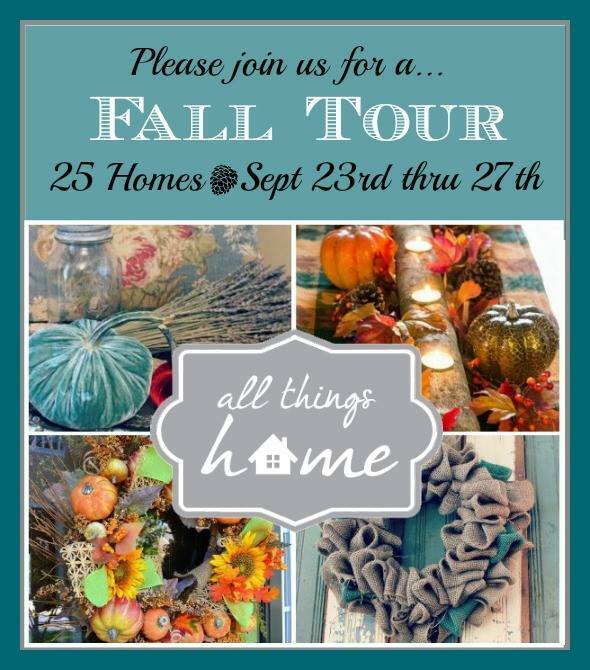 Doesn’t it make you anxious to take the tour of all 25 homes during the Fall Home Tour next week? 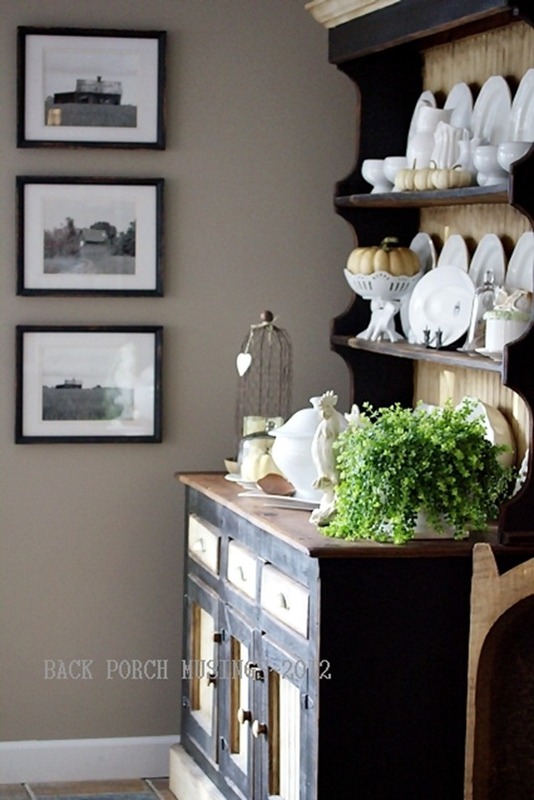 This hutch filled with beautiful white dishes and pumpkins is one of my favorites. Pat at Back Porch Musings never disappoints! 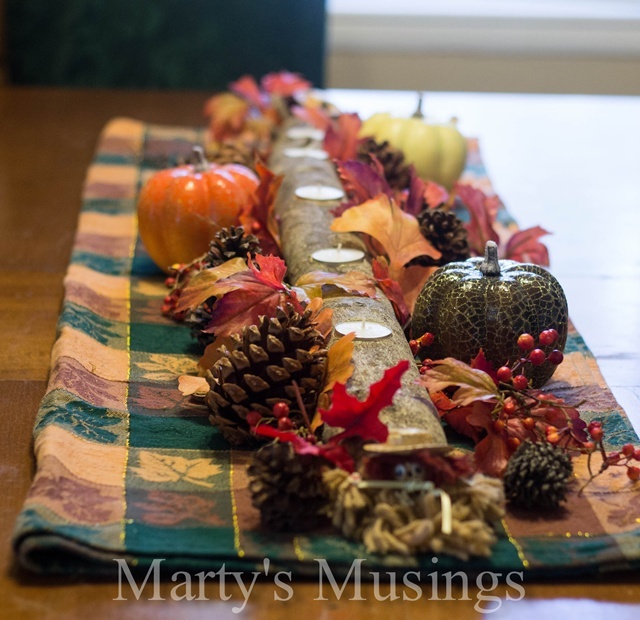 I’ve been wanting to make a branch candle centerpiece like this one by Marty at Marty’s Musings. 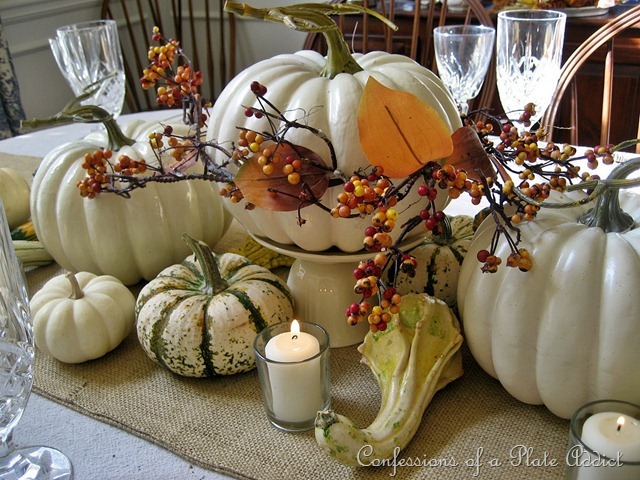 And speaking of centerpieces, I’m lovin’ this casual gathering of gourds by Debbie at Confessions of a Plate Addict. More pumpkins can be seen at Mom 4 Real. 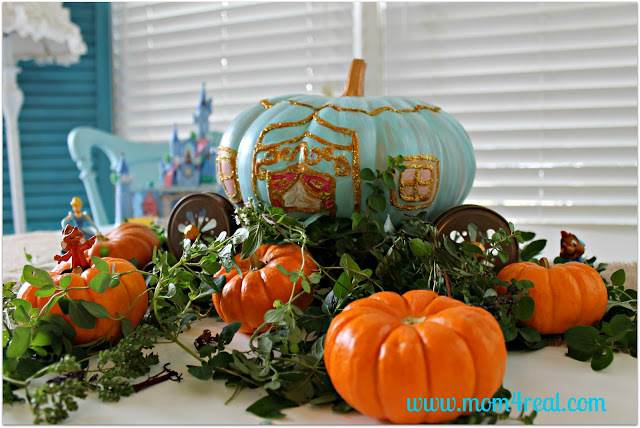 Can you believe Jessica turned her pumpkin into a Cinderella Carriage? Her creativity amazes me! 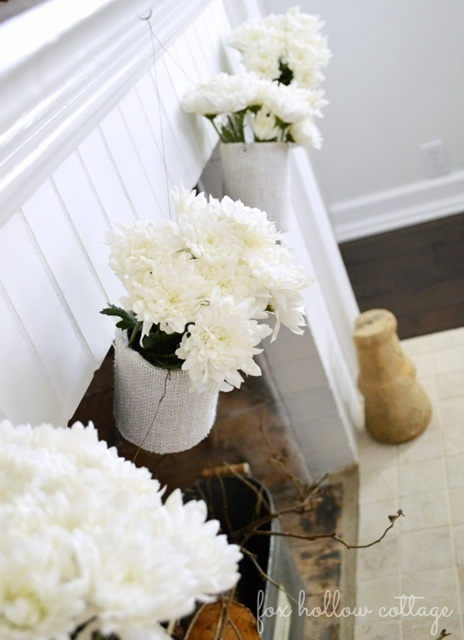 Keeping with a creative theme, Shannon at Fox Hollow Cottage recently took tin cans, wrapped them in burlap and stuffed them with mums, then strung them together on her mantel. Adorable, right? 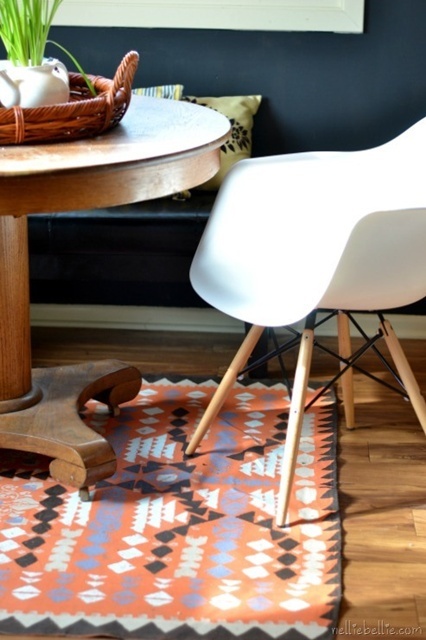 Janel at Nellie Bellie used autumn colors when she painted a drop cloth (yes, a drop cloth) and turned it into a rug! Absolutely amazing!! 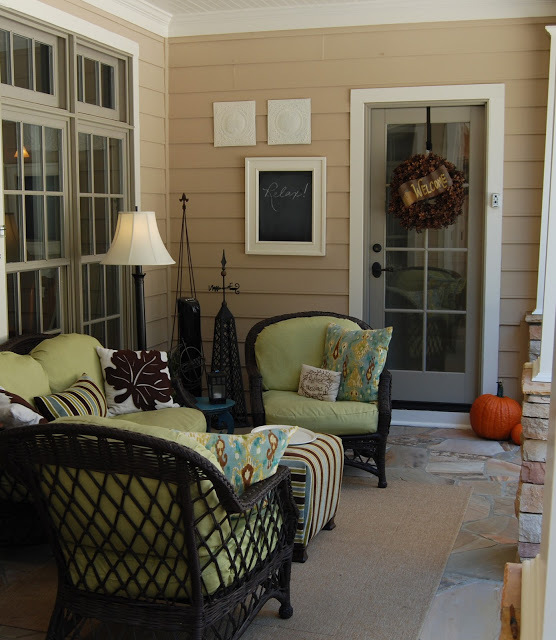 This gorgeous back porch by Richella at Imparting Grace is just more of the inspiration you’ll see at next week’s Fall Home Tour. 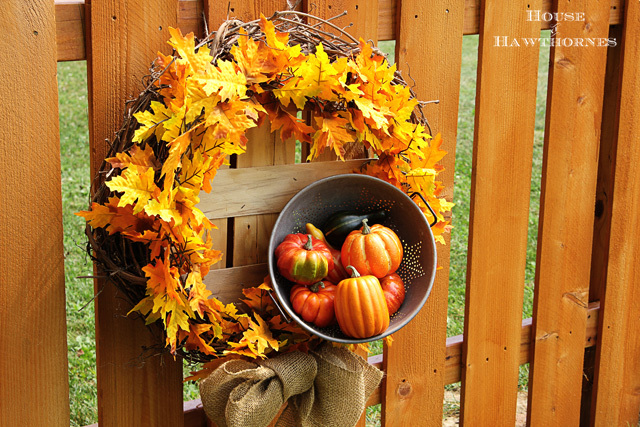 I’m sure you’ll see some wreaths during the Fall Home Tour, like this one by Pam at House of Hawthornes. 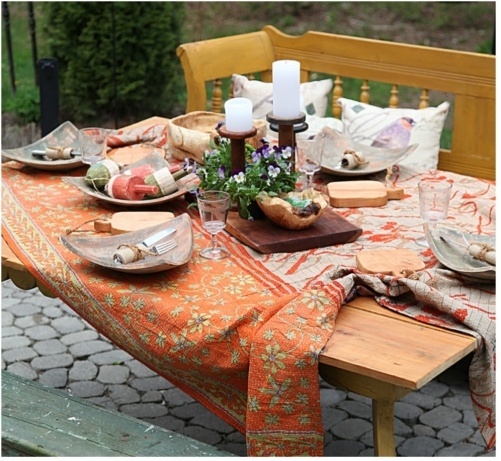 Check out this Boho-inspired autumnal table setting by Cynthia Weber at Button Tufted Life. Love it! 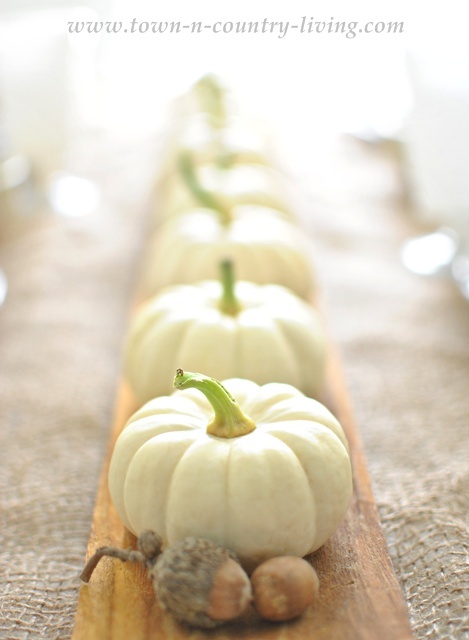 And of course, I’ll be sharing some of my Baby Boos and other stuff on the Fall Home Tour. 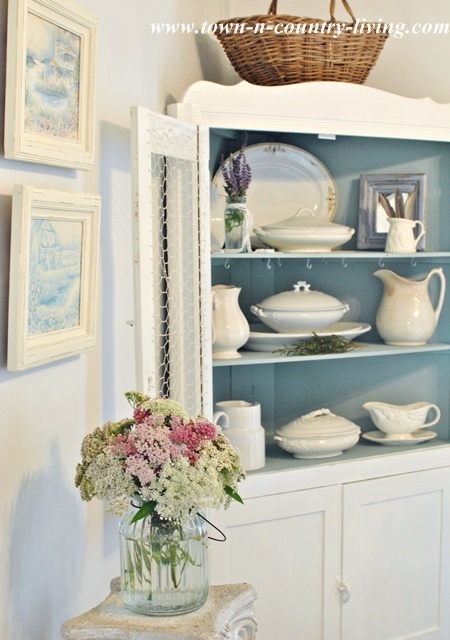 Today my home is being featured over at Cozy Little House. 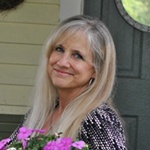 Brenda’s blog is one of the first I started reading. Not only is she a great photographer, but she’s an excellent writer as well. 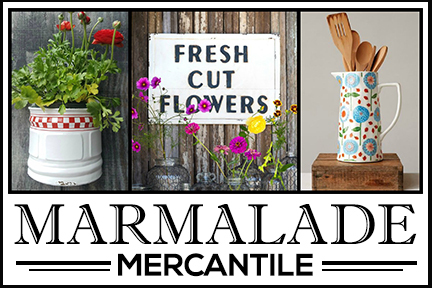 I hope you’ll hop on over there and check out her blog! 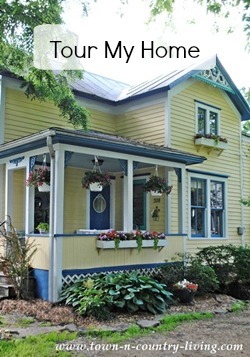 Here’s the line-up of homes for next week’s Fall Home Tour! Ahhh…you are so sweet, I can’t wait for all the home tours, going to be so much fun! Have a great night! 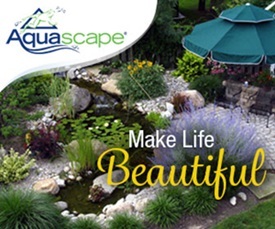 I cannot wait to see all the homes. So much sweet inspiration. I can’t wait to see what you have in mind this year for fall, Jennifer!! Thanks for including me, Jennifer. I shared this post on my fb page!